I often bolt out of bed thinking of things that seem quite sensible at 4am but perhaps not so much at 3:45 in the afternoon. I’m not sure about this idea, but I’m going to give it a go. It’s basically a structure – a lens through which one can look everything new. That’s getting to the ” – ness” of it but what does it mean for learners? Could teachers use this with students? Could leaders use this with their teams? This is, of course, what strikes you. It’s about noticing….not just looking, but really seeing, and taking it in. This can apply to a nature walk, a chemistry experiment, reading of a text, viewing of a film, encountering an artwork…the list is endless. Learners should strive to be “impressed” in the very raw sense of the word…what about the subject (or experience) is poignant.…is “sticky” or surprising? Is there something novel, striking, shocking or moving? This is not to say everything will blow your mind (thank goodness!). It’s more about examining the details one would normally overlook in our hurried life pace. For example, you might have a WOW with the way a painter has blended his hues or the texture of the canvas. A WOW could come from the feeling created by the musical score of movie and the emotions it renders. You might be WOW’d by the way bark curls as it falls off a tree trunk, or by the feats of a historical figure. This next step is of the utmost importance…have some device – a camera app, sketchbook, notebook, voice memo, (or if you are like me, the back of a receipt) to archive the WOW. Because our WOWs are often so visceral, they can be fleeting. Most people need to externalize their brain with some form of technology (yes, a pencil is tech) so they can return to it thoughtfully later. After the initial consumption and internalization of the subject, it’s time to explore through inquiry. What do you WONDER about? Apparently in Old English, “wonder” (wundrian) could mean “astonished” but also “to admire; make wonderful, magnify”… I think the latter word is applicable here. How might we use a metaphorical magnifying glass to investigate further? It’s important that questions come from both the gut and from patient pondering. They are equally legitimate. I suggest doing a “Questionstorm” in lieu of the traditional “brainstorm”. 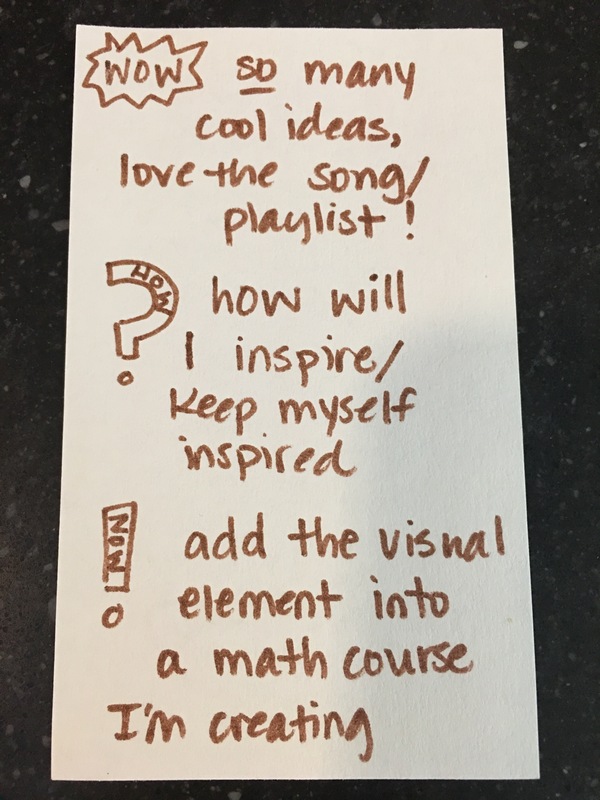 Give learners time to generate their gut level questions on their own (I love Post-Its for this), then pool them together and examine more thoughtfully as a group…what questions spark other queries? Allow the group to build off of each other’s wonderings until you have a visual web of collaborative thinking. Learners can then use these as springboards for independent inquiry, or articulate trends and threads within the question pool. I think all learners demand relevance. Why is this significant? 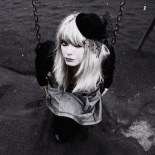 What place does it have in my life or in the world? In what ways does it connect to other things I know – perhaps to other disciplines? Could this be analogous to something else I’ve learned? Skipping the “SO WHAT?” step in learning can be fatal – students crave justification, meaning, and a sense of agency. Take time to delve into the whys and wherefores that take us beyond the whatsits. Humans are selfish creatures – we want things to be about us.We want to have our say…to put our mark on things. I’ve previously discussed the notion of true learning as remix. I still abide by that – if any learner can transform acquired knowledge into something a bit different, infused with her own unique voice, then that knowledge will be sticky. I can barely recall things I studied in elementary school except for the performances (plays and spelling bees), projects and presentations (dressing as a Swede and making ginger cookies), and research (I got James Madison in 4th grade and Connecticut in 5th grade!). That and the negative experiences, when teachers squashed my personal creativity (yes, I was even slapped for glueing on something too early and therefore crookedly). 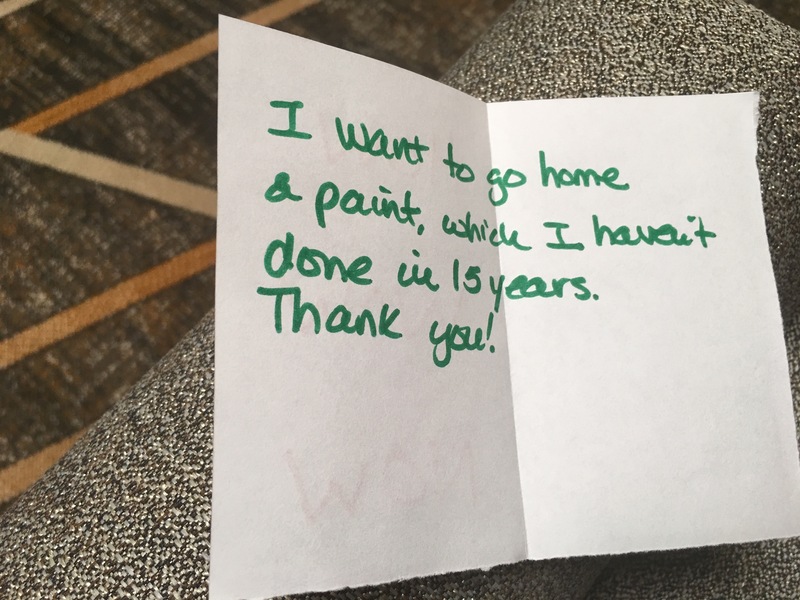 The WHAT NOW asks learners to develop an action plan. What might I design or build? What happens next? What can I think more about? How might I present my findings in the best way? What can I “do” about this thing and how can I get others on board with my cause? what are ways to share the significance of this to others? How can I remix or transform this new knowledge into something else? Anyone who has ever been to one of my workshops or keynotes knows I close with the reflection prompt: WOW, HOW, NOW. It is indeed perhaps a bit of inspiration for this post, as it involves “your big takeaway” (what surprised you), your “lingering question”, and “your personal challenge” (what do you plan to do to implement what you’ve learned?). 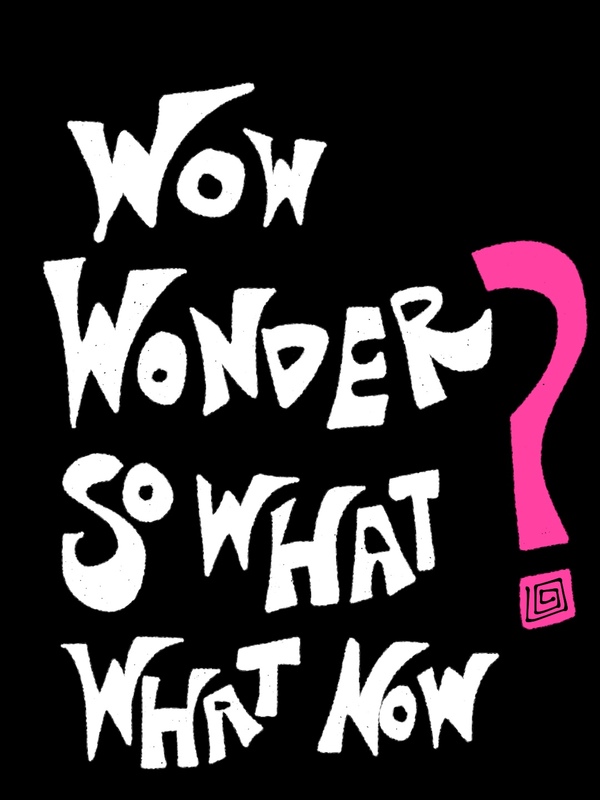 The WOW, WONDER, SO WHAT?, WHAT NOW? structure is a bit more fleshed out and includes that very important piece about identifying relevance, so I hope it is useful to some of you in your work with learners of all ages. 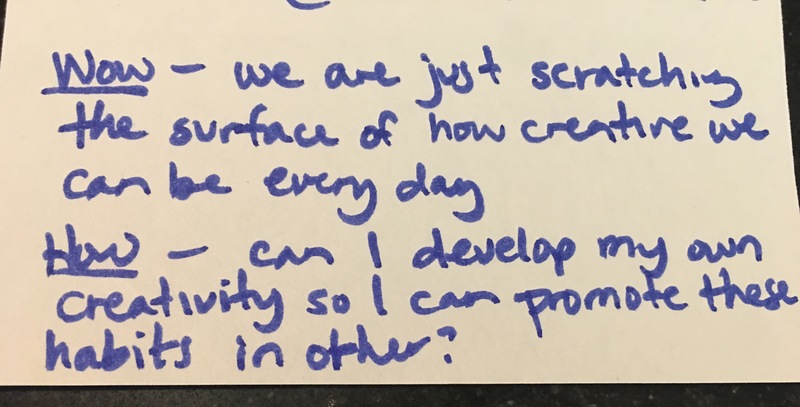 This entry was posted on April 26, 2018 by amyburvall in rawthoughts and tagged creative thinking, critical thinking, enquiry, inquiry, learning, pedagogy, questions, relevance, remix, structure, teaching, thinking, wow how now.